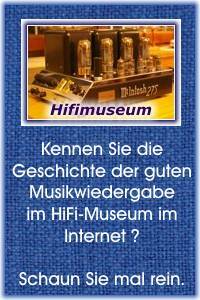 Die entscheidenden Jahre bei Ampex . . . In the waning days of World War II, before the awesome appearance of the atomic bomb, a highly decorated Navy pilot paid a visit to tiny Ampex Electric and Manufacturing Company In San Carlos, California. His visit was one of several of its kind arranged by the Navy to urge maximum efforts by key suppliers. Ampex, not yet a year old, was producing critical components for airborne radar Systems used in Navy aircraft. Ampex employees listened as the pilot described his experiences flying night reconnaissance mis-sions. "Suddenly," he said, "all forward guns on my plane opened fire. A few seconds later, I saw a Japanese plane, engulfed in flame, falling toward the sea." The guns were activated by the plane's radar System. Components in the System were supplied by Ampex. This was one of a number of occasions when Alexander M. Poniatoffs characteristic concern with product excellence was recognized and acclaimed. In his own words, "no effort was too great to develop and build products of highest performance and reliability." Such a philosophy, matched in performance, is the foundation on which Ampex is built. "In designing the highly critical motors and gen-erators for the radar Systems," Poniatoff recalls, "we used newly developed ainico magnets to pro-duce magnetic fields. This increased the efficiency and eliminated one set of electrical windings. For high reliability, the second set of windings was vacuum impregnated using a Special synthetic resin." Not long after deliveries of the radar components started, Ampex found itself a Single supplier in spite of military rules that there must be a minimum of two manufacturers for all critical items. Radar components of the second supplier were failing in Service in spite of efforts to improve the quality. Pilots were reluctant to fly planes if the radar components were not made by Ampex. As a result, the Navy made the unprecedented move of appointing Ampex as a Single supplier. According to Navy records, not a Single Ampex unit failed in service. A great deal of credit should be given to Walter Cabral who was in charge of production and quality control at Ampex during this period. Later, with the encouragement of Ampex management, he started his own Company in Los Gatos manufacturing airborne radar motors and generators which Ampex decided to discontinue. When the war ended, Ampex took a day off to celebrate the end of war and victory. Days later, the Navy cancelled all Ampex contracts. Friends of Poniatoff, experienced businessmen, advised him to dissolve his Company. In their opinion Ampex had no Chance to survive. With insufficient capital, no marketable peacetime product and very little business experience, he would not be able to compete with old, established companies. In spite of the fact that Poniatoff could not dispute the logic of his business advisors, after a couple of sleepless nights he decided to develop a peacetime product without any change in the personnel or organization of Ampex. He gives two reasons for his decision. First, dissolving Ampex meant surrender without putting up a fight. Second, he could not see himself saying goodbye to the Ampex people who had worked with him so successfully. Everyone in the organization was waiting for Poniatoff's decision and ready to work on any project. Poniatoff faced the serious problem of maintaining his staff intact at a time when there was no work for production people. "As fortune would have it," he remembers, "a business representative of a furnace Company visited Ampex shortly after the Navy cancelled our contracts. The man asked that Ampex bid on the construction of motors to be used in his company's furnaces." Mr. Poniatoff stated that the quality of motors Ampex was equipped to manufacture would be too expensive for this customer's application. In spite of Poniatoff's admonitions, the businessman in-sisted that Ampex bid on the contract. The possibilities of improving the quality of recorded music always intrigued Poniatoff because of his love for classical music. As a result, he made the decision to develop and manufacture high fi-delity amplifiers and Speakers for a new sound System. During this period, two Santa Clara University graduates, totally unknown to each other, were following paths that would ultimately lead them to Poniatoff. The meeting was to create a tape re-cording industry with economic ramifications that would have boggled the mind of the most optimistic pioneer. About the time Alexander Poniatoff was starting a new life in America, a young electrical engineer from California was taking his first job with the Shell Development Co. That was 1928, and Harold Lindsay continued with Shell until 1941. At that time, Lindsay went to work for the Lawrence Radiation Labs in Berkeley, on the highly classified Manhattan Project. At night, he worked on highaltitude flying safety techniques at nearby Donner Laboratories. In the summer of 1945, these projects were completed and, looking for another job, Lindsay called some friends on the San Francisco Peninsula and found a position in a high-vacuum equipment plant. The plant soon burned down, and, in what would soon turn into beautiful irony, Lindsay went to work for the fledgling Dalmo-Victor Co., which by now had a few hundred employees as a result of its successful radar equipment business during the war years. He eventually met a man named G. Forrest Smith, who worked for a young firm near Dalmo called Ampex. The men frequently discussed their mutual interests in classical music and engineering design. Lindsay became interested in some intimations by Smith that his firm was developing new products and would welcome any of Lindsay's ideas in the high fidelity area. Now the other Santa Clara graduate comes into the picture. Major Jack Mullin, a Signal Corps officer stationed in England during the war, was also a classical music enthusiast. While monitoring German radio broadcasts from his post in England, he heard broadcasts of symphony concerts, oddly enough in the early hours of the morning. These could not be "live" broadcasts at such hours, yet the programs certainly did not originate on typical electrical transcriptions. It didn't take an astute electrical engineer, which Mullin was and is, to discern a transcription from the real thing, since transcription sound was pinched. There was other evidence, that the Germans had some new high quality recording techniques. Broadcasts of Speeches by Hitler and other Nazi officials were heard in one town and city after another, to camouflage their whereabouts, but it was obvious to the Signal Corps engineers that they couldn't possibly be moving around so fast. The "live-sounding" broadcasts had to involve some improved recording method. Mullin, who had performed some recording work for a San Francisco industrial filmmaker, Palmer Films, Inc., went to France with the Signal Corps after V-E Day, and obtained permission to go to Germany to investivate the Germans' recording techniques. At about the time Harold Lindsay was joining Dalmo-Victor and Alexander Poniatoff was receiving cancellation of his military contract for radar generators, Mullin discovered a black trunk, about the size of a foot locker, designed for the Germans by Telefunken and called a Magnetophon. Mullin knew this bizarre box was the source of the live-sounding broadcasts he had heard in London, and after examining the instrument, saw it would be a valuable recording device for his film-making work in the States. After filing his reports with the Signal Corps, Mullin soon found there was quite an amount of leftover machinery from the confiscated war items, and that this machinery had been qualified as war Souvenirs. Mullin took two of the Magnetophons carefully disassembled them, and along with 25 rolls of magnetic tape, sent them home to San Francisco in ordinary mail bags. They arrived without damage and awaited him upon his discharge in early 1946. Meanwhile, Lindsay and G. Forrest Smith met frequently to discuss high fidelity sound equipment plans for Ampex. Lindsay wasn't certain it was the best direction in postwar years, but Ampex seemed to be leaning that way. In July of 1946, Harold Lindsay attended a meeting of the Institute of Radio Engineers in San Francisco. At the meeting, Jack Mullin gave a demonstration of the unique sound recording machine he had brought from Germany. The demo consisted of an "A-B switching" technique, whereby a signal was brought from a "live" sound source into the recording machine, where it was recorded. By playing it back immediately, the demonstrator could throw one switch, "A", to hear the recorded Signal, or another switch, "B", to hear the Signal before it was recorded. With the Magnetophon, Lindsay couldn't teil the difference. He was astounded. He saw immediately the impact, such a machine could have on high fidelity recording, and on the music-loving community in general. After the "IRE" meeting, Lindsay collared Mullin and talked at length with him. Lindsay pointed out the tremendous potential Mullin had in his hands, and Mullin agreed. Mullin, however, rightly knowing that exploitation of this unique machines should be a cautious matter if it were to become profitable, guardedly avoided letting anyone including Lindsay know anything of the Magnetophon's recording heads and electronics, the most important parts of the machine. He did, however, tell Lindsay to give him a call if he needed any help. Lindsay nodded, still dreaming of the future of tape recording. "Someday," he told Mullin, "I'd like to work on that." Lindsay's "someday" wasn't far off. In October, when he finally met Alexander Poniatoff, whom Smith had mentioned many times by now, Lindsay spiritedly told Poniatoff of his experience at the July IRE meeting, and Poniatoff was intrigued. They decided to give Mullin a call, but Mullin's Office told them he was en route to Los Angeles to demonstrate the Magnetophon to the October IRE meeting in that city. Hurriedly, Poniatoff ieft for L. A. When he returned, he called Lindsay at Dalmo-Victor. The two men excitedly discussed the idea of the Magnetophon and indicated to Mullin that they'd like to investigate the possibility of manufacturing such a taperecorder in the United States. Mullin told Poniatoff, that he had accepted a position as a consulting engineer with a company owned by Colonel Richard Ranger. Colonel Ranger, a Signal Corps officer himself, had also brought a Magnetophon from Germany and was working on a project to develop and manufacture a professional type magnetic tape recorder. He engaged Mullin as a consultant and as a result, Mullin was not available to Ampex. At this time, Poniatoff made a firm decision to develop a high fidelity magnetic recorder. He went to Dalmo Victor management, telling them that he would like to employ Harold Lindsay at Ampex. They had no objections. On December 10, 1946, Lindsay accepted a position with Poniatoff. His first task was to design a Magnetic head for the proposed Ampex tape recorder. After testing various laminations and hydrogen annealing of high permeability alloys, Lindsay came up with a head that he and Poniatoff took to San Francisco to test on Mullin's Magnetophon. "The most exciting moment of my life was just before I pushed the button," Lindsay says today. "It seemed as though everything rested on whether it worked our personal futures and the future of Ampex." The new head worked perfectly and Poniatoff had full confidence, that Ampex could make a tape recorder of its own. Lindsay was put in Charge of the design of the first recorder which was given the designation Model 200. The objective was to design equipment for top performance with the highest reliability. No consideration was given what the cost of the unit would be. The total expenditure in building the first working prototype was $76,000, a heavy financial burden to Ampex during this period. Poniatoff was undaunted by these negative opinions, and proceeded to build the new recorder. As a result, his "silent partner" asked Poniatoff to find a party to buy him out. Financial problems soon mounted. Poniatoff recalls at least two weeks when no one received a paycheck, but enthusiasm and confidence were high, and no one was disturbed. Loans from First National Bank of Redwood City (which was later to become Wells Fargo Bank) kept the Company going. In 1947, a public relieved of war was listening to radio entertainment in record numbers, and such great shows as the United States Steel Hour and the Standard Hour were at the peak of their popu-iarity. Bing Crcsby's radio show had been one of the most popular for several years, but in 1947 something happened. Bing's Hooper rating began to drop in spite of the fact that his material was as sprightly as ever. A quick analysis uncovered the problem. Crosby typically recorded about an hour long show in the Studio. Engineers then cut down to a half hour. The trouble was the disc-to-disc dubbing and editing. It was of poor quality and got worse with each transcription in spite of the fact that the American Broadcasting Company was using the finest disc recording equipment. According to the contract between Bing Crosby and Philco (the Sponsor) if his Hooper rating dropped to 60, Bing Crosby had to go on the air live. Crosby told his associates that he would rather cancel the contract than to do a live program. A group of people connected with the Crosby Show had attended the same IRE meeting in L. A. at which Poniatoff had first viewed the Magnetophon. These people, quite naturally, got to know Jack Mullin and expressed interest in his recording machine. As ratings dropped, they invited him to Los Angeles to record a Crosby show on tape. ABC engineers were naturally skeptical of magnetic tape and made Mullin dub his final edited tape onto one or more "sturdy and dependable" discs. Broadcast quality was noticeably better and audience response was good. Crosby immediately asked Mullin, where he could obtain magnetic recording equipment. Since Colonel Ranger's development project was far behind Ampex progress, Mullin told him about the small firm on the San Francisco Peninsula which was developing recording equipment. Following this, Crosby invited Ampex to demonstrate the recorder in Los Angeles. So great was the spontaneous reaction and interest in the new recorder on the part of the Crosby engineers and entertainers, that the demonstration lasted a full day. Immediately after this, Basil Grillo, manager of Crosby Enterprises, arrived in San Carlos. He told Poniatoff, that Bing Crosby had called from Paramount Studios where he was making a movie, and asked him to go to Ampex and order recording machines. McSharry, financial and production manager of Ampex, worked out a proposal. Basil Grillo was told that to make the cost of machines reasonable, the minimum order should be 20 units, and in this case the price would be $4,000 per unit. Since the machines were custom-built, Crosby Enterprises was required to make a deposit of $60,000. Basil Grillo accepted the terms and made the deposit. Crosby then resold the equipment to the American Broadcasting Company. Since magnetic tape was not available in the United States, Ampex decided to import tape from Germany. It wasn't long before word began to get around about the new Ampex development. A rep-resentative of Audio Devices Company brought Ampex a sample of magnetic tape his Company was developing and asked to test it on the new machine. A representative of Minnesota Mining and Manufacturing Co. came soon after. Ultimately, 3M developed and introduced a satisfactory tape in time for use with Ampex machines. As Orders began to rise, Poniatoff was visited by two brothers Joseph and Henry McMicking. Joseph McMicking had a business in the Philippines and was contemplating investment in the United States. Wells Fargo Bank told him, that Ampex was a Company with a potential future. After a few visits and discussions, McMicking and Poniatoff came to an agreement. Mr. McMicking bought out Poniatoffs "silent partner", provided financing and helped in the organisation of management of Ampex for expansion. His great interest in technology, his ideas for new applications of magnetic recording and his enthusiasm in connection with the future possibilities of Ampex were inspiring to every member of the Company. Eventually 112 of the original units were built and sold at the price of $4,000 each. The next order after Crosby and ABC was from Decca Records for mastering phonograph records. Other networks and recording companies quickly followed suit. The high fidelity era was born. The historic Model 200 was manufactured throughout 1948. During this period considerable experience in the techniques of magnetic recording was acquired. The knowledge was used in the development of a new recorder with lower tape speed and lower production cost while retaining the same high quality performance. Lindsay again was named project engineer. This new unit was designated the Model 300. Design patents of the Model 300 set down various configurations which became the National Association of Broadcasters (NAB) Standards. It was received with great enthusiasm by Ampex customers in July of 1949. Ampex was on its way. *Many years later, Poniatoff found out from Dr. Heyne, President of Telefunken, that Dr. Heyne had proposed the manufacture of a tape recorder to General Electric in early 1938. The product planning group at G.E. also decided that magnetic recording was not a practical principle for product development.